Your personal physical therapy begins with a comprehensive evaluation of functional limitations and areas of pain. Our experienced team of physiotherapists will perform a comprehensive assessment, including postural and biomechanical assessments, to diagnose your problem. Our team will design a treatment plan based on your needs and goals. Throughout your treatment, we will work hard to help you return to all normal functional activities. You will receive a personalized home exercise program to further enhance your rehabilitation. Manual therapy is used when pain and loss of movement are present. The goal of this “hands on” technique is to restore function and movement while reducing pain. Techniques can include soft tissue massage and mobilization, tendon and ligament frictions, joint mobilizations and manipulations. A manipulation is a high velocity low amplitude technique which moves a joint past its dysfunctional barrier. Often a popping sensation is felt with this technique. You can expect immediate change in your range of motion and reduction of pain with this treatment. Intrasmuscular Stimulation (IMS) is a total system for the diagnosis and treatment of myofascial pain syndromes (chronic pain conditions that occur in the musculoskeletal system when there is no obvious sign of injury or inflammation). IMS is grounded in Western Medical Science, and has a solid foundation in its radiculopathic model of pain, which is now supported by many experts in the field. The treatment, which utilizes acupuncture needles because they are the thinnest implements available that are designed to penetrate deep within muscle tissue, specifically targets injured muscles that have contracted and become shortened from distress. You can expect muscle soreness and tenderness in the areas treated for 24 - 48 hours followed by a decrease in pain and increased movement. The effects of this treatment are cumulative. All of our physical therapists can provide medical acupuncture adjunctive treatments. Acupuncture is the insertion of thin, disposable needles into the body to enhance the body’s healing. Traditional treatments include the insertion of needles based on the 14 meridians in the body. Points may be left in for up to 30 minutes at a time, stimulating the production of endorphins and cortisol in the brain. These are chemicals which are vital in pain relief and inflammation control. Electricity is sometimes added to enhance effects. Acupuncture is a 6000 year old remedy for many conditions including low back pain, headaches, sciatica, plantar fasciitis, tennis elbow, shin splints, Achilles tendonitis, and shoulder pain. You can expect to feel relaxed and rejuvenated after this treatment. Often 4-6 treatments are needed to achieve desired results. We offer traction for both cervical and lumbar symptoms including sciatica, herniated discs, spinal stenosis, and degenerative disc disease. Static force is exerted on the spinal segments, with the goal of unloading the joints, muscles, discs and other surrounding structures. Leduc Physio offers a variety of modalities to help aide in tissue healing, reducing swelling and pain, reducing muscle spasm, and restoring movement. Modalities are generally used after acute injuries such as ligament sprains and muscle strains. Modalities we have available include ultrasound, laser, TENS, eletrical stimulation ( NMES and IFC), cryotherapy, moist hot packs and wax. As physiotherapists, we are trained to prescribe customized and individualized exercise programs for patients based on assessment findings. We will assess your range of motion, strength, function, and movement patterns before designing a perfect exercise program to suit all of your needs. Our programs are based on client goals,abilities, and performance, from seniors to professional athletes. Leduc Physio now provides vestibular rehabilitation. We will assess and treat dizziness and disequilibrium symptoms that stem from the inner ear. 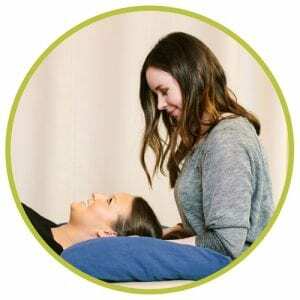 The Epley maneuver has strong evidence to support up to a 94% success rate to solve a specific type of vertigo called BPPV ( ear rocks). We also provide a range of home programs to help with all other types of balance and dizziness issues. Even if the dizziness has been going on for years, rehabilitation to the inner ear may help restore most of your function back!